I made a guacamole dip for a party last weekend and it was so easy and so delicious I wanted to post it here for you guys. 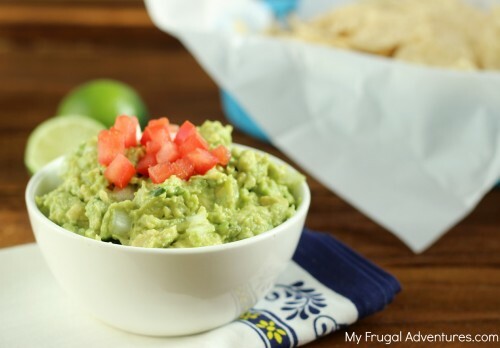 Homemade guacamole is so worth the effort- it tastes a million times better then what you can get at the store. 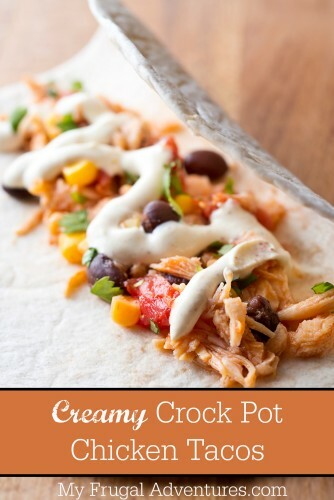 Plus you are using just a few ingredients and you won’t believe how fast it is to whip up. Just remember this will start to brown so you do want to make it right before you are ready to serve. You can squeeze lime juice on top to help preserve the vibrant color green. This is a messy thing to eat so for parties I like to serve it in little individual cups so people can grab one and walk around. Here is the recipe- this will take you just minutes to put together and it comes courtesy of Alton Brown. 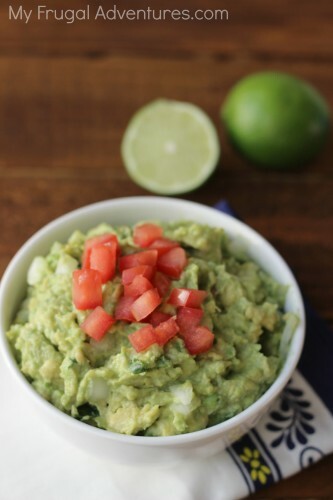 Easy and delicious homemade guacamole dip. Peel and deseed the avocado. You can lay it out on a cutting board or place in a large bowl. Cut a lime in half and squeeze the juice over the top of the avocado. Mash avocado to desired consistency with a potato masher. 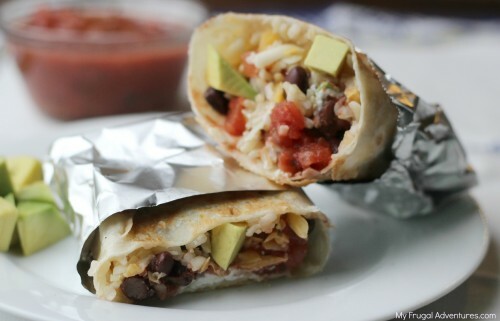 Mix in tomatoes, onions and cilantro- gently fold in. I tend to cut back on the onions for a party- I don’t want people walking around with onion breath ;). 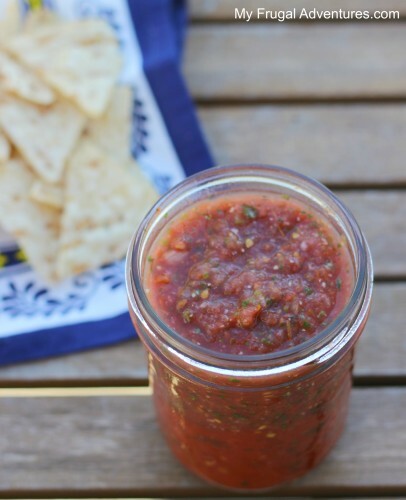 I hope you like this recipe as much as I do! We grilled burgers that night and I actually topped my burger with this guac and a slice of cheddar cheese. Delish! Come back and let me know what you thought if you decide to try this out! 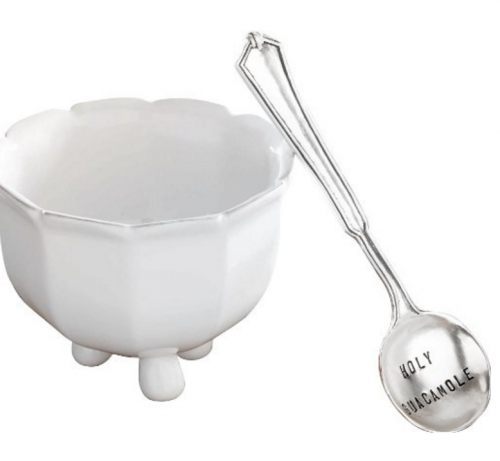 And how fun is this little bowl to go with your guac? Pick it up here. I haven’t tried your recipe out yet (excited to because I could seriously eat just a bowl of guac) but just a tip: the guacamole will stay fresher for serving if you leave some of the pits in the bowl. I don’t know why, but it really works. 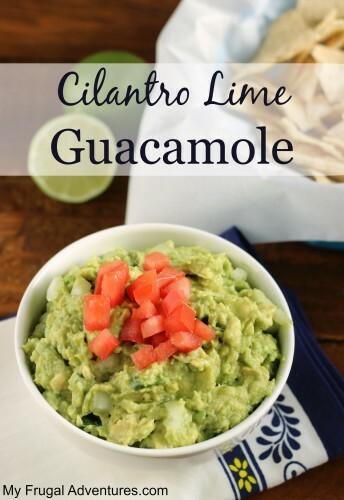 Haven’t tried it yet but I LOVE guacamole! This sounds good, and I will make!